The drawings and poems by the children of Terezin are among the most poignant documents of the Holocaust. This expanded edition of the unforgettable collection I Never Saw Another Butterfly was occasioned by the loan of the children’s art by the State Jewish Museum in Prague to the United States Holocaust Memorial Museum in Washington, DC for exhibition and for this book. The ghetto of Terezin (Theresienstadt), located in the hills outside Prague, was an unusual concentration camp in that it was created to cover up the Nazi genocide of the Jews. Billed as the “Führer’s gift to the Jews,” this “model ghetto” was the site of a Red Cross inspection visit in 1944 and of a propaganda film produced by the Nazis. Some elderly Jews even paid to enter its “protective” ghetto walls. With its high proportions of artists and intellectuals, culture flourished in the ghetto—alongside starvation, disease, and constant dread of the continuous transports to the death camps of the East. Every one of its inhabitants was, in effect, sentenced to die. A total of 15,000 children under the age of fifteen passed through the Terezin Concentration Camp between the years 1942 and 1944; fewer than 100 survived. 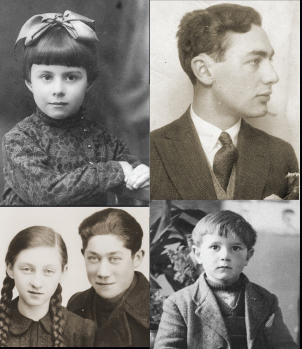 In these poems and pictures created by the young inmates of Terezin, we see the daily misery of these uprooted children, as well as their courage and optimism, their hopes and fears. The drawings and poems are all that is left of these children. 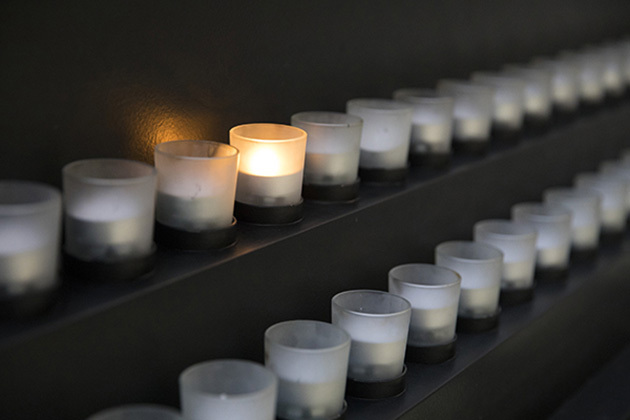 About those who signed their names to their work, it has been possible to find out a few facts: the year and place of their birth, the date of their transport to Terezin and to Auschwitz, and the date of their death. For most of them that last date was 1944, a year before the end of the war. These innocent and honest depictions allow us to see through the eyes of the children what life was like in the ghetto. Birds and butterflies flutter with the looming red roofs of Terezin in the background; a luminous moonlit room betrays the stark interior of the barracks. Pencil line drawings depict the threatening guards, work brigades, and deportations they witnessed. Side by side with the realities are images of hope—a sailboat guided by a candle, a lighted menorah, children playing in a garden that resembles Eden, figures scaling mountain peaks to liberation. The children’s poems and drawings, revealing a maturity beyond their creator’s years, are haunting reminders of what no child should ever have to see. Each piece of art gives the overwhelming tragedy of genocide a human and individual face. This new, expanded edition of I Never Saw Another Butterfly includes many additional drawings and poems chosen from the archives of the State Jewish Museum in Prague by the Unites States Holocaust Memorial Museum. From the book cover.